We come into 2019 at the very top of an economic cycle with record-low unemployment. Talent mobility is hot as companies expand. Organizations are becoming flatter, and team-based work models and organizational-network analysis are becoming mainstream. CEOs and CHROs will continue to worry in the new year about skills gaps, job and work transformation, and employee engagement. We are also seeing more focus on purpose, citizenship and fairness, along with diminished trust in technology and concerns about privacy and data protection. All this is leading to important changes ahead for the HR profession. The following trends will impact every HR organization—no matter the industry or company size. I’ll be discussing each of these disruptions in more detail, as well as others that arise in the months to come, at the 2019 HR Technology Conference and Exposition® this October in Las Vegas. HR technology can no longer be effectively managed by HR alone. The average company now has 11 systems of record, with new apps for wellbeing, engagement, feedback, recognition, performance management, learning and even pay launching every day. Simultaneously, HR and workforce technologies are merging. Consequently, it’s very important for HR departments to partner with IT to analyze all aspects of the current workforce-technology architecture and collaborate on the technology roadmap for the future. It’s time to get serious about meaningful talent mobility. 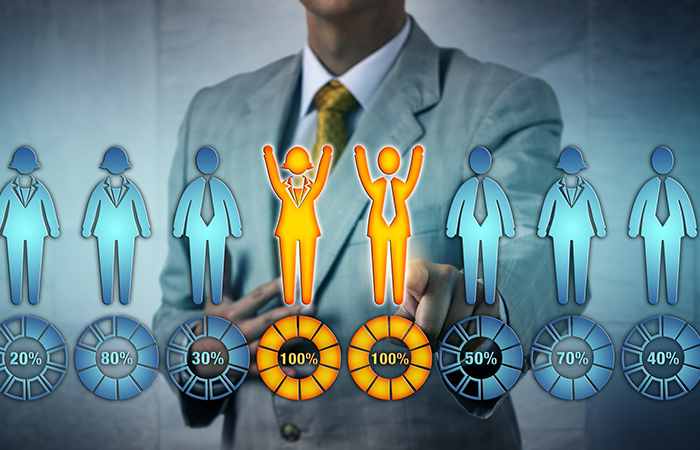 Strategic talent mobility is now a top CEO-level issue. Not only do we need to find ways to move people more easily, we must do it in a way that respects the strengths and career goals of the individual and the business needs of the organization. Talent-acquisition teams often spend $2,000 or more per hire (and five to 10 times that number for senior positions). On the other hand, companies spend an average of $1,100 per employee on training. Companies are recognizing that they can fill new jobs more cost-efficiently by re-skilling current employees, who are already integrated into the company culture. New research also suggests ambition and learning agility trump experience when it comes to job success. HR must focus on team-based work and organizational networks. The economy will probably stutter in 2019, likely resulting in the reorganization and restructuring of many organizations. Nothing forces a sober look at productivity more than a slowing business cycle. HR leaders will need to take a more data-driven look at how workforces are organized. I believe team-centric operating models will be increasingly adopted in 2019. In my mind, the word “teams” is more than a description of how people work together; it’s also a management philosophy focused on work—not jobs—with people freely sharing knowledge and skills across functional silos. In 2019, HR leaders must gain a better understanding of the implications of team-centric work, build better tools to manage and operationalize teams, and focus on communicating the value of a growth mindset. Analytics and AI are going mainstream. HR is responsible for a company’s most important database of all. When used well, employee data are much more valuable than customer data. Every time an employee sends an email or has a meeting, we can learn something about customer service, an operating process or a cultural issue that can potentially improve the business. SAP’s $8 billion purchase of Qualtrics perfectly demonstrates what’s ahead for HR analytics. Qualtrics, which started as a small survey company, is now positioned to capture, analyze and operationalize “experience data” from employees and customers. SAP is smart enough to see its potential for business. Just as we have invested in automating and leveraging customer data to improve customer service and experience, we need to do the same for employees. The HR profession needs to take the lead in this effort, supported by strong partnerships with IT and finance. Effective management of multi-generational workforces will drive success. HR teams are now dealing with workforces comprised of four generations, each with vastly different experiences and expectations. Business success will largely be based on how effectively companies manage such diversity and use it to their advantage. These are questions HR must ask: Are we building an inclusive multi-generational culture? Are we giving older workers the opportunity to mentor younger people? Are we addressing the societal and citizenship concerns of employees? Are we updating leadership models to accommodate longer careers? Are we moving young people into leadership roles early enough? Are older employees incentivized to “step aside,” while still making important contributions? I always enjoy writing my predictions for the coming year because the exercise gives me an opportunity to reflect on how far the HR profession has come and how much we can all continue to learn and grow. The process also reminds me how honored I am to interact with such wonderful, committed leaders. Here’s to another exciting new year!